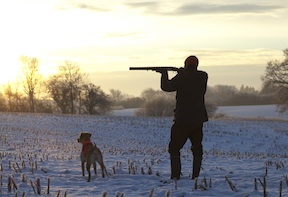 Though many children and adults in Montana have taken a hunter’s safety course, gun safety tips can never be repeated too often, or learned too early. In a recent article by the New York Times, gun safety was highlighted as being of monumental importance in all communities. The article described how gun fatalities happen in all types of households, in all types of communities, and even among those who were educated in gun safety. While there are fewer children dying from accidental gunfire than intentional gunfire every year, it’s still arguable that one child dying from accidental gunfire is far too many. For this reason, the Gallatin City-County Health Department encourages you to follow these steps to ensure gun safety in your household to keep your whole family safe and informed. Use guns locks. If you don’t have a gun lock, drop by the Health Department at 215 W. Mendenhall in Bozeman anytime Monday-Friday from 8am-12 & 1-5pm. We give out FREE gun locks to anyone who needs one. Keep your guns in a locked cabinet or safe. This not only keeps your guns from being stolen, but also keeps your children from accessing your guns when not supervised. NEVER use alcohol, prescription drugs, over-the-counter drugs, or any other type of drug before or while shooting. These substances are likely to impair normal mental or physical bodily functions, and must not be used before or while handling or shooting guns. Clean your gun every time it is used. Regular cleaning is important in order for your gun to operate correctly and safety. Teach your children about gun safety. Always assume a gun is loaded, and NEVER point at or near a human being. Multiple gun injuries or fatalities happen when adults or children think they have emptied the chamber or magazine, but a bullet still remains. Teach kids the basic parts. Any child who will be handling a gun while hunting should know how to safely open and close the action and remove ammunition from the gun or magazine safely, and should know where the safety feature is and how to make sure it is on or off. Safety features are never foolproof. Nothing can ever replace safe gun handling. Wear eye and ear protection as appropriate. Shooting glasses and hearing protectors/ear plugs protect the eyes from debris and the ears from the loud noise that can cause hearing damage. Only use a gun under close adult supervision. For information about Hunter Education Programs, check out Montana Fish, Wildlife & Parks Hunter Education website. For Gun Safety & Prevention Tips, check out the American Academy of Pediatrics information.